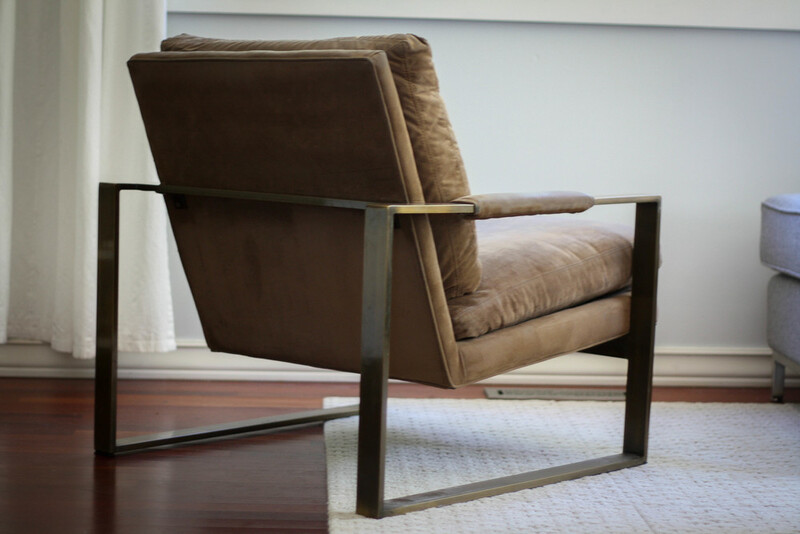 Exceptionally rare pair of Milo Baughman for Thayer Coggin bronze lounge chairs. You'll often see these chairs in the much more common chrome finish, but no matter how hard you scour the internet you'll only find one other instance of these chairs in bronze. Yeah, they're that rare. The bronze finish is in impeccable shape with very light ware for being nearly 50 years old. As you can see in the photos these chairs really shine. 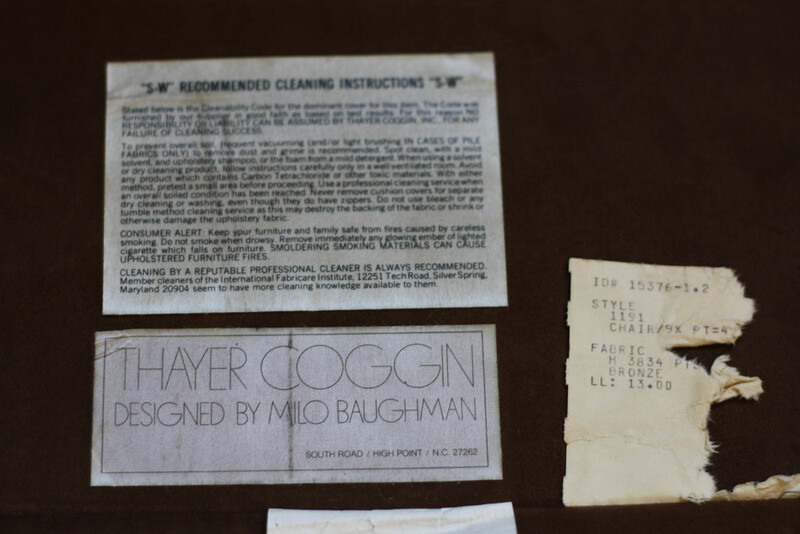 They retain their original Thayer Coggin / Milo Baughman labels proving their authenticity. 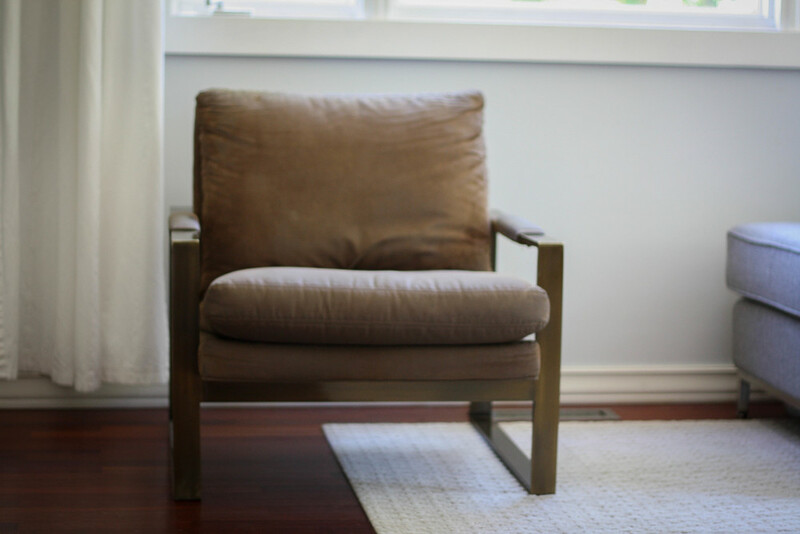 The leather suede upholstery has a nice patina that perfectly shows that the chair has been well used, but not abused. Obviously, if you wanted to have the chairs recovered, you could, but they do not require it to be enjoyed. 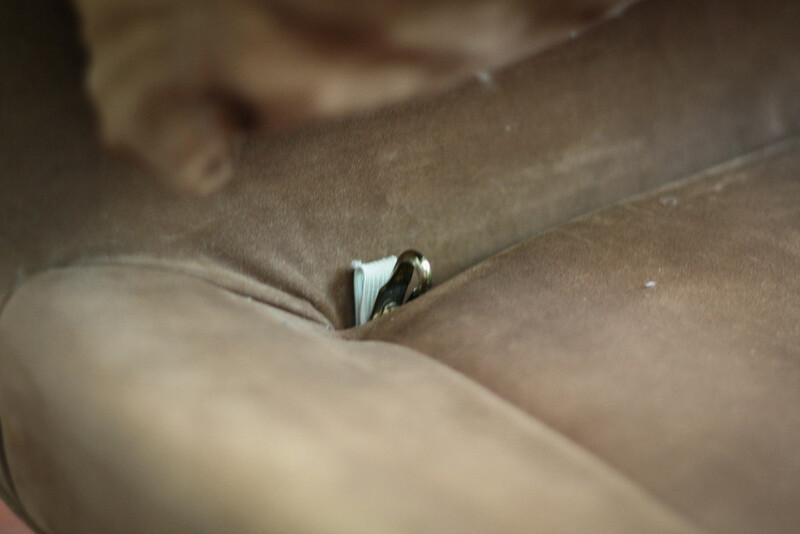 The seat cushions retain the clasp mechanism to secure them to the seat (as pictured). No worrying about the cushions sliding forward as you relax.